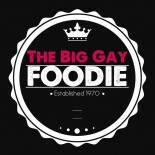 Welcome to The Big Gay Foodie! Hello and welcome to my new food blog. You might know me as The Big Gay Al from websites such a Twitter and Instagram. I am big, I am gay, my name is Al(ex) and I am a not so secret foodie! So why now? Well anyone that knows me from twitter, instagram, facebook, flickr etc will now that I love to cook and more importantly I love to eat. Turns out I also love to post pictures of food I eat and cook. I hope that here I can share my food experiences (and photos) but also explain a little more, share recipes and keep a record of some of my favourite foodie treats! This entry was posted on July 15, 2014 by thebiggayal in Editorial, Recipes and tagged blog, food, foodie, gay, new, The Big Gay Al.